Sierra Lekie, junior in political science and economics, and Jill Applegate, senior in political science and Spanish, have been nominated for the 2016 Harry S. Truman Scholarship. The Truman Scholarship recognizes students with exceptional leadership potential who will pursue careers in public service, government, or the nonprofit sector. It provides up to $30,000 in financial support for graduate school. Four students from K-State were nominated, and we are extremely proud that Sierra and Jill were among them. Jessica Gittemeier a sophomore in political science and pre-law was one of five students nominated by Kansas State University for the Morris K. Udall Undergraduate Scholarship. Awarded to only 60 students a year, the Udall Scholarship is a national undergraduate scholarship for students committed to careers related to the environment, tribal public policy or Native American health care. Udall Scholars are awarded up to $7,000. Lekie is the sustainability director for the Student Governing Association, co-chair for the For Sophomores Only program and alumni chair for the College of Arts & Sciences Ambassadors. She also has been an intern for the Student Governing Association, Grad Bash co-chair for the Student Alumni Board, February event chair for Silver Key Sophomore Honorary, and a member of the Quest Freshman Honorary, Pi Sigma Alpha Political Science Honor Society, Phi Kappa Phi National Honor Society and Model United Nations. In addition, she was a teaching assistant for the Political Inquiry and Analysis course taught by Sam Bell and an intern for Kansas Sen. Tom Holland and U.S. Sen. Jerry Moran. 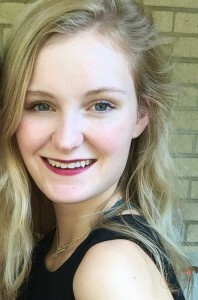 Lekie has received several awards and honors, including a Cargill Global Scholarship, Putnam Scholarship, McKelvie Scholarship for Government Service, Reba L. Cobb Memorial Scholarship for Political Science, Douglas E. and Victoria D. Hill Economics Scholarship, Ethel L. and Joe D. Hubert Scholarship in Arts & Sciences, Arts and Sciences Fund for Excellence scholarship, Katherine G. Malone and Janet B. Hollis Leadership Scholarship and Richter Family Beyond the Campus Scholarship. 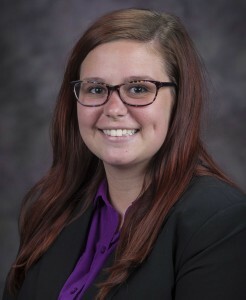 Applegate is a Bill Snyder Leadership Legacy fellow, a research assistant in the sociology department, an English as a second language teacher, a lecture coordinator for K-State Presidential Lecture Series and a member of the K-State Student Foundation and Alpha Delta Pi sorority. She was recruitment and marketing vice president for Alpha Delta Pi, project coordinator for K-State Proud, the Greek outreach coordinator for the Kays and Kennedy student body president and vice president campaign, and served on the 2015 International Leadership Association Case Study Competition Team. Applegate has received the Mortar Board Outstanding Junior Award, semester honors for seven consecutive semesters, the College of Arts & Sciences Undergraduate Research Award, Putnam Scholarship, Goss Discovery Study Abroad Scholarship and a Margaret E. Beeson Scholarship in Modern Languages. Gittemeier is a member of Pi Beta Phi, Students for Environmental Action and the Honors Program and is a former member of the Hillary Clinton Fellowship. 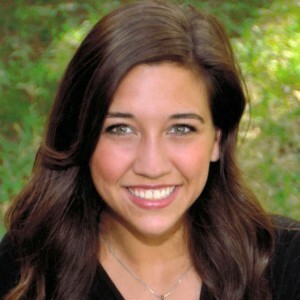 She received the K-State Medallion Scholarship and is the president of the university’s Young Democrats.